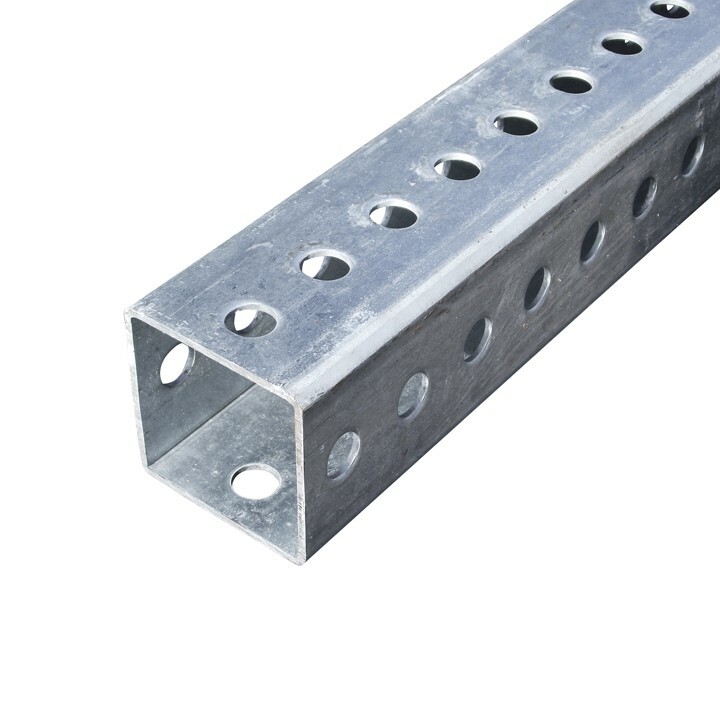 1.75" x 1.75" square, perforated, welded steel tubing. Perforations on all four sides allow you to mount signs on all four sides, back-to-back, and on adjacent sides. Tubing can telescope into the next larger size making adjustment, reinforcement and splicing fast and easy. 7/16" Perforations at 1" intervals.